U.S. stocks were little changed as economic data came in mixed. The Commerce Department reported that new home sales fell in the month June, while initial jobless claims came in better than expected. 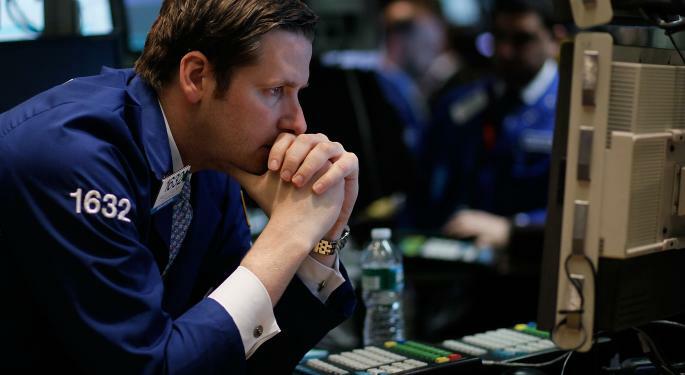 Investors and traders cheered positive quarterly results from Facebook and Ford, while news reports of M&A activity made Thursday's trading session rather interesting as major indices fluctuated but ended the day almost where they started. The Dow lost 0.02 percent, closing at 17,083.80. The S&P 500 gained 0.05 percent, closing at 1,987.96. 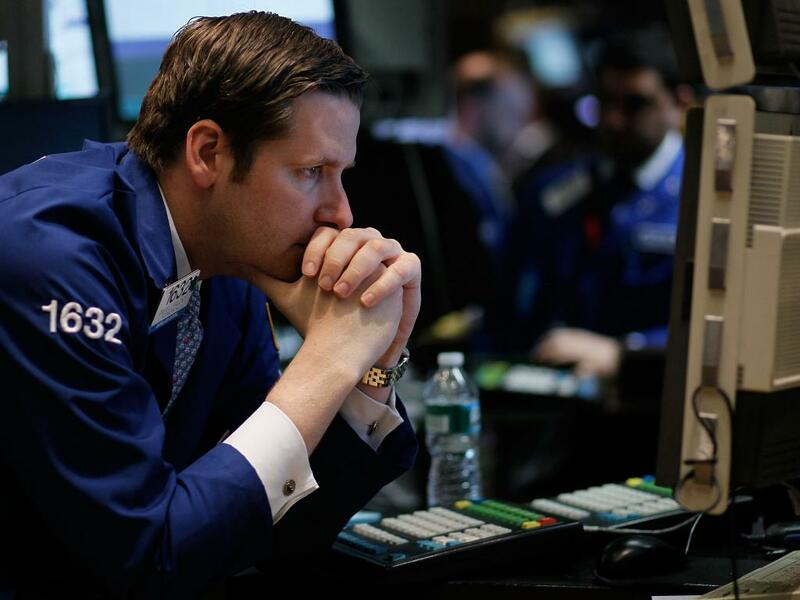 The NASDAQ lost 0.04 percent, closing at 4,472.11. Gold lost 0.90 percent, trading at $1,292.90 an ounce. Oil lost 1.14 percent, trading at $101.94 a barrel. Silver lost 2.64 percent, trading at $20.44 an ounce. Initial Jobless Claims fell 19,000 to 284,000, below the consensus of 302,000. Continuing claims declined 8,000 to 2.50 million. July U.S. PMI Manufacturing fell to 56.3 from 57.3, falling short of estimates of 57.6. June New Home Sales declined 8.1 percent to 406,000, below expectations of 479,000. EIA Natural Gas Inventory rose 90 bcf, below expectations for a gain of 96 bcf. July Kansas City Fed Manufacturing Survey rose to +9 from +6 in June. Analysts were expecting the Survey to read +6 in July. U.S. regulators voted three to two to pass new restrictions on the money market industry to avoid a recurrence of corporate lending leading up to the 2008 financial crisis. Analysts at Bank of America downgraded Boeing (NYSE: BA) to Neutral from Buy with a price target lowered to $140 from a previous $154. Also, analysts at JPMorgan maintained an Overweight rating on Boeing with a price target raised to $168 from a previous $167. Shares lost 1.82 percent, closing at $124.40. Analysts at Raymond James maintained an Outperform rating on Delta Air Lines (NYSE: DAL) with a price target raised to $48 from a previous $46. Also, analysts at UBS maintained a Buy rating on Delta Air Lines with a price target raised to $52 from a previous $50. Shares lost 2.76 percent, closing at $38.07. Analysts at Barclays maintained an Equal-Weight rating on Dow Chemical Company (NYSE: DOW) with a price target raised to $58 from a previous $54. Also, analysts at JPMorgan maintained a Neutral rating on Dow Chemical with a price target raised to $50 form a previous $48. Shares lost 0.09 percent, closing at $53.84. Analysts at Tigress Financial downgraded EMC (NYSE: EMC) to Buy from Strong Buy. Also, analysts at Credit Suisse maintained an Outperform rating on EMC with a price target raised to $32 from a previous $30. Shares gained 0.49 percent, closing at $28.89. Analysts at Benchmark downgraded Electronic Arts (NASDAQ: EA) to Hold from Buy with a price target raised to $41.82 from a previous $41.01. Also, analysts at EVA Dimensions upgraded Electronic Arts to Hold from Underweight. Shares gained 2.22 percent, closing at $36.84. Analysts at Jefferies maintained a Buy rating on Facebook (NASDAQ: FB) with a price target raised to $100 from a previous $85. Meanwhile, analysts at JMP Securities maintained an Outperform rating on Facebook with a price target raised to $90 from a previous $83. Also, analysts at Nomura maintained a Buy rating on Facebook with a price target raised to $82 from a previous $78. Shares hit new 52-week highs of $76.90 before closing the day at $74.98, up 5.18 percent. Analysts at Stifel Nicolaus upgraded PepsiCo (NYSE: PEP) to Buy from Hold. Also, analysts at Barclays maintained an Overweight rating on Pepsi with a price target raised to $95 from a previous $91. Meanwhile, analysts at Jefferies maintained a Buy rating on Pepsi with a price target raised to $103 from a previous $102. Shares gained 1.20 percent, closing at $91.91. Analysts at Credit Suisse maintained an Outperform rating on TripAdvisor (NASDAQ: TRIP) with a price target lowered to $120 form a previous $125. Also, analysts at UBS maintained a Neutral rating on TripAdvisor with a price target raised to $98 from a previous $87. Shares lost 5.19 percent, closing at $101.79. U.S. authorities are investigating UBS (NYSE: UBS) over possible money laundering and tax fraud in France. Shares gained 1.32 percent, closing at $18.48. MGIC Investment (NYSE: MTG) announced that its CEO Curt Culver will retire from the company on March 1, 2015. Shares lost 0.38 percent, closing at $7.97. Vale (NASDAQ: VALE) announced that its second quarter iron ore output rose 13 percent from a year ago to 79.4 million metric tons. Shares gained 1.53 percent, closing at $14.56. Elliot Management disclosed a 6.7 percent stake in Interpublic Group (NYSE: IPG) and intends to push the came to sell itself. Shares gained 1.51 percent, closing at $20.15. eBay (NASDAQ: EBAY) plans to offer a $3.5 billion bond sale for general operating activities and to pay down outstanding short-term debt. Shares gained 1.08 percent, closing at $53.23. McDonald's (NYSE: MCD) announced it will continue using its Chinese meat supplier despite a government inspection claiming that it used expired meat. Shares finished the day unchanged at $95.35. Wal-Mart (NYSE: WMT) announced that its U.S. CEO Bill Simon will leave the company and replaced with Greg Foran as of August 9. Shares lost 0.83 percent, closing at $76.35. Verizon (NYSE: VZ) plans to sell $2 billion in 2020 notes, $4.5 billion in 2046 notes and $5.5 billion in 2054 notes. The proceeds will be used to exchange offers for 11 debt series. Shares gained 0.27 percent, closing at $51.05. Freeport McMoRan (NYSE: FCX) will resume concentrate shipments from Indonesia. The company will pay higher royalties of four percent on copper sales after paying between 1.5 percent and 3.5 percent under the old deal with the government. Shares lost 2.65 percent, closing at $37.53. Morgan Stanley (NYSE: MS) was fined $275 million because of misrepresentation of underlying MBS loans. Shares hit new 52-week highs of $33.60 before closing the day at $33.40, up 0.15 percent. This morning, Nokia (NYSE: NOK) reported its second quarter results. The company announced an EPS of $0.08, beating the consensus estimate of $0.06. Revenue of $3.96 billion beat the consensus estimate of $3.91 billion. During the quarter, the company saw its telecom equipment unit's revenue drop eight percent from a year ago to 2.57 billion euros, marking an improvement from the 17 percent decline in the previous quarter. The company noted that its sales were impacted by contract exists and divestment, lower maintenance and implementation work and declining 3G orders, which was only partially offset by rising 4G and core network orders. Mobile broadband equipment revenue rose six percent to 1.36 billion euros. Gross margin for the quarter improved by 40bps to 44 percent. The company confirmed it will begin a share buyback program soon. Shares hit new 52-week highs of $8.35 before closing the day at $8.32, up 8.33 percent. This morning, Under Armour (NYSE: UA) reported its second quarter results. The company announced an EPS of $0.08, beating the consensus estimate of $0.07. Revenue of $610.0 million beat the consensus estimate of $574.37 million. Net income for the quarter at $18 million was unchanged from a year ago despite a 35 percent rise in apparel net revenue. Footwear net revenue rose 34 percent from a year ago to $110 million, while accessories net revenue rose 18 percent to $60 million. The company saw its gross margin improve by 90bps to 49.2 percent. Under Armour issued guidance and sees its fiscal year 2014 revenue being $2.98 billion to $3 billion and an operating income of $343 million to $345 million. Shares hit new 52-week highs of $70.25 before closing the day at $69.55, up 14.71 percent. According to Bloomberg, SodaStream (NASDAQ: SODA) is in talks with an unnamed investment firm to be taken private for $40 per share. Shares gained 9.45 percent, closing at $31.63. BlackBerry's (NASDAQ: BBRY) CEO John Chen said that it is talking with other companies to form a potential partnership. Shares gained 5.60 percent, closing at $10.38. According to Bloomberg, Zillow (NASDAQ: Z) is interested in acquiring Trulia (NYSE: TRLA). A source told Bloomberg that the price tag on a deal could be $54 per share, reflecting a $2 billion valuation. Shares of Zillow hit new 52-week highs of $157.61 before closing the day at $145.76, up 15.25 percent. Shares of Trulia also hit new 52-week highs of $57.00 before closing the day at $53.74, up 32.43 percent. This morning, Precision Castparts (NYSE: PCP) reported its first quarter results." The company announced an EPS of $3.31, missing the consensus estimate of $3.35. Revenue of $2.53 billion missed the consensus estimate of $2.58 billion. Net income for the quarter rose to $482 million from $438 million in the same quarter a year ago, as sales rose seven percent from a year ago because of a positive impact from a full quarter of Permaswage and two months of Aerospace Dynamics International. Forged Products sales rose to $1.096 billion from $1.065 billion a year ago because of higher regional/business jet sales and flat large commercial and military sales. However, oil and gas shipments fell by nine percent in the quarter, but the company did note that it is winning sizable new orders and shipments will ramp up over the next 12 months and beyond. Shares lost 5.53 percent, closing at $236.21. This morning, D. R. Horton (NYSE: DHI) reported its third quarter results. The company announced an EPS of $0.32, missing the consensus estimate of $0.49. Revenue of $2.15 billion beat the consensus estimate of $2.08 billion. Net income for the quarter fell to $113.1 million from $146 million in the same quarter a year ago, as the company saw a $54.7 million pre-tax charge for inventory impairments. Closings for the quarter rose 28 percent to $2.1 billion and 19 percent in homes to 7,676. Backlog for the quarter rose 26 percent in value to $3.3 billion and 15 percent in homes to 11,365. Home sales gross margin in the quarter fell to 20.7 percent from 21.4 percent in the same quarter a year ago. Shares lost 11.53 percent, closing at $21.94. This morning, Ford (NYSE: F) reported its second quarter results. The company announced an EPS of $0.40, beating the consensus estimate of $0.38. Revenue of $37.40 billion beat the consensus estimate of $36.13 billion. Net income for the quarter rose to $1.31 billion from $1.23 billion in the same quarter a year ago, as all automotive business units were profitable and demonstrated improvements from a year ago, except South America. North America achieved a record quarterly performance for pre-tax profit of $2.44 billion compared to $2.32 billion a year ago despite an estimated market share loss of 1.2 points to 15.3 percent. Europe Wholesales saw a pre-tax profit of $14 million compared to a loss of $306 million a year ago while pre-tax profit in Asia-Pacific rose to $159 million from $130 million a year ago, partly because of a 26 percent year over year wholesale volume in China. The company guided its North American profits to be lower than 2013 and for Asia-Pacific's profit to be higher than a year ago. Shares gained 0.34 percent, closing at $17.84. Recommended: Covidien Earnings Preview: Has Merger News Shaken Expectations? This morning, Dunkin' Brands Group (NASDAQ: DNKN) reported its second quarter results. The company announced an EPS of $0.47, in line with the consensus estimate. Revenue of $190.90 million missed the consensus estimate of $198.54 million. Net income for the quarter rose to $46.2 million from $40.8 million in the same quarter a year ago, as same-store sales rose 1.8 percent at Dunkin' Donuts restaurants and rose 4.2 percent at Baskin-Robbins. The company noted that a cold and rainy start to the spring season contributing to lower growth figures, but same-store sales gradually improved throughout the quarter as June average weekly sales was the highest ever. Dunkin' Brands did, however, lower its full year fiscal 2014 guidance and expects its EPS to be $1.73 to $1.77, down from a previous guidance of $1.73 to $1.83. Revenue is guided to grow at five percent to seven percent instead of a prior guidance of six percent to eight percent. Shares lost 4.42 percent, closing at $42.01. This morning, General Motors (NYSE: GM) reported its second quarter results. The company announced an EPS of $0.58, missing the consensus estimate of $0.59. Revenue of $39.6 billion missed the consensus estimate of $40.59 billion. Net income for the quarter fell to $0.2 billion from $1.2 billion in the same quarter a year ago after taking a hit of $1.2 billion in recall-related costs and $200 million in restructuring costs. The North American division saw its EBIT decline to $1.4 billion from $2 billion a year ago, while the European division saw an adjusted loss widen to $300 million from $100 million a year ago. GM Financial saw its pre-tax earnings flat from a year ago at $300 million. As a whole, General Motors' margins were flat from a year ago at 9.3 percent. Shares lost 4.46 percent, closing at $35.74. After the market closed, Visa (NYSE: V) reported its third quarter results. The company announced an EPS of $2.17, beating the consensus estimate of $2.10. Revenue of $3.16 billion beat the consensus estimate of $3.15 billion. Shares were trading lower by 2.71 percent at $216.70 following the earnings release. After the market closed, Starbucks (NASDAQ: SBUX) reported its third quarter results. The company announced an EPS of $0.67, beating the consensus estimate of $0.66. Revenue of $4.15 billion beat the consensus estimate of $4.14 billion. Shares were trading lower by 0.70 percent at $79.89 following the earnings release. After the market closed, Amazon.com (NASDAQ: AMZN) reported its second quarter results. The company announced an EPS loss of $0.27, missing the consensus estimate of a loss of $0.15. Revenue of $19.34 billion was in line with the consensus estimate. Shares were trading lower by 5.02 percent at $340.60 following the earnings release. "This was a good quarter for us." - Facebook CEO Mark Zuckerberg commenting on the company's second quarter results.